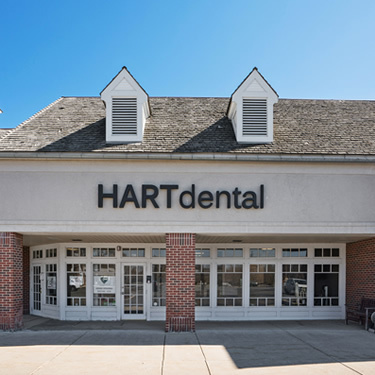 Hart Dental offers a range of family dental services from our convenient location in the Foundry of Barrington shopping mall. Our dentists, Dr. Aggie Iwaszczyszyn and Dr. Iwona Iwaszczyszyn, warmly welcome new patients of all ages. Whether you’re seeking a gentle, friendly dentist to provide routine checkups or are hoping to achieve the smile you’ve always wanted, or require something in between, we’re here to exceed your expectations. We believe that your dental visits should be a time that you can look forward to, knowing you can sit back, relax, put your headphones on and know that you’re in capable hands. Dr. Aggie and Dr. Iwona pride themselves on helping even those who have felt nervous about visiting the dentist before, allowing them to release their fears and get the dental care they need.